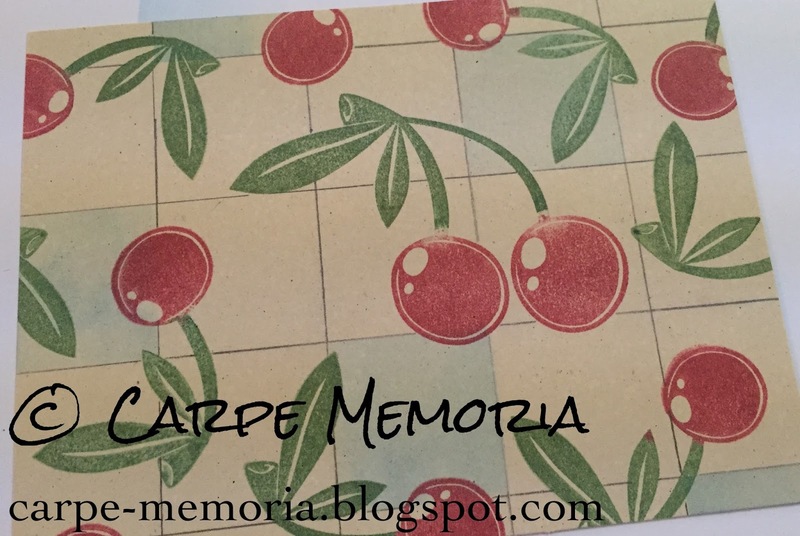 Welcome to the March 2015 Club Scrap blog hop! This month I'm humbled to be associated with a very talented group of paper artists as we feature the collection called 50's Kitchen. If you arrived here from Hetty's blog, you are on the right track. 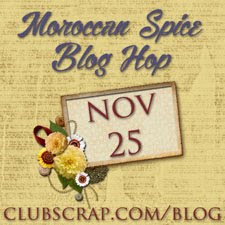 If you want to get back to the beginning of this month's hop, go to Club Scrap--you'll find the complete list of blogs so you can hop right along! This month's kit is a fun, colorful collection of papers and designs reminiscent of kitchen styles of the middle of the 20th century. The element that grabbed my attention is the cherry motif--I'm drawn to the natural red and green colors, and cherries are one of my favorite fruits! 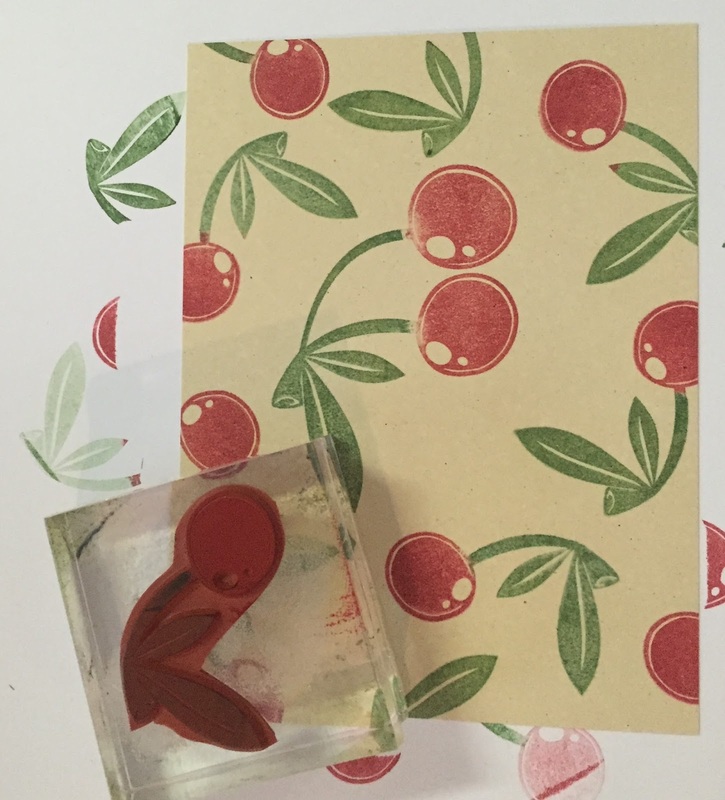 So, since I received my kit at the beginning of the month, I've been trying to think of a project I could make featuring the cherry stamps found on the Art Nouveau stamp sheet. Start with a 3 5/8 x 4 7/8 piece of tan cardstock. 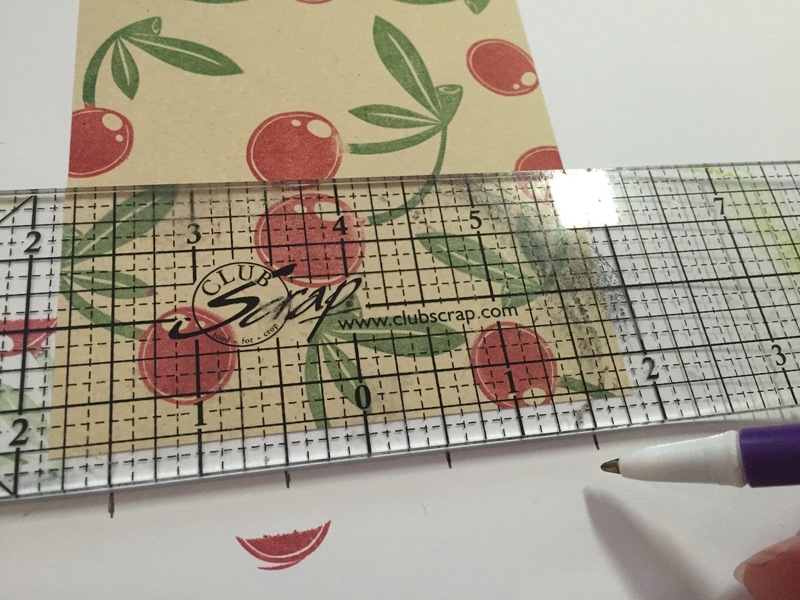 Stamp the cherries randomly on the cardstock. Find the center of the panel; mark a 1" grid on the scrap paper. The stamped panel with grid pattern in pencil. are on top of the grid? 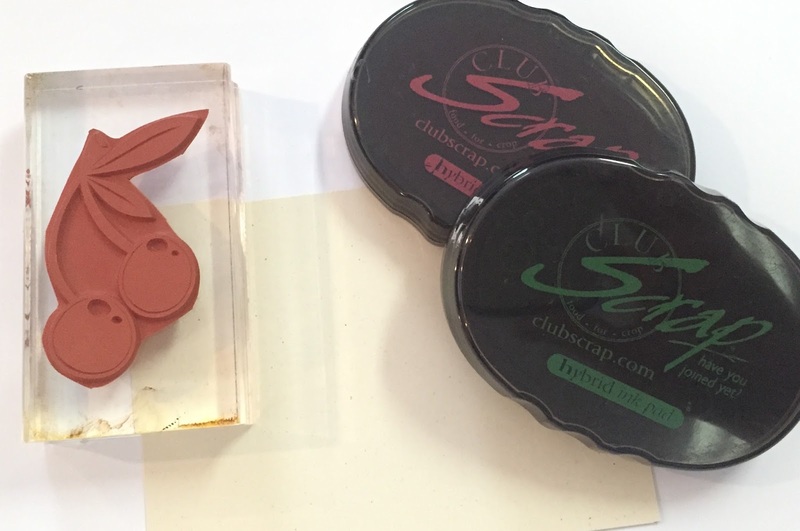 and a sponge applicator to add a light layer of ink. Only ink a few squares--just to add interest. Finally, trace the pencil lines with a black fine-tip pen. Here again is the completed card. I hope you try this technique. I don't think I would have ever thought to put aqua with red and green, but I like the look! The next stop on the hop is Ann at Crzymom's Tidbits. Her creative mind is sure to inspire you! The last time I participated in Club Scrap's blog hop (January 2015), I showed how I organize my collection of unmounted stamps. This time, I'd like to tell you how I use a common office organizing tool in my craft room. Without scrolling down, can you guess how I use this file organizer? Hint: I don't put paper in it! 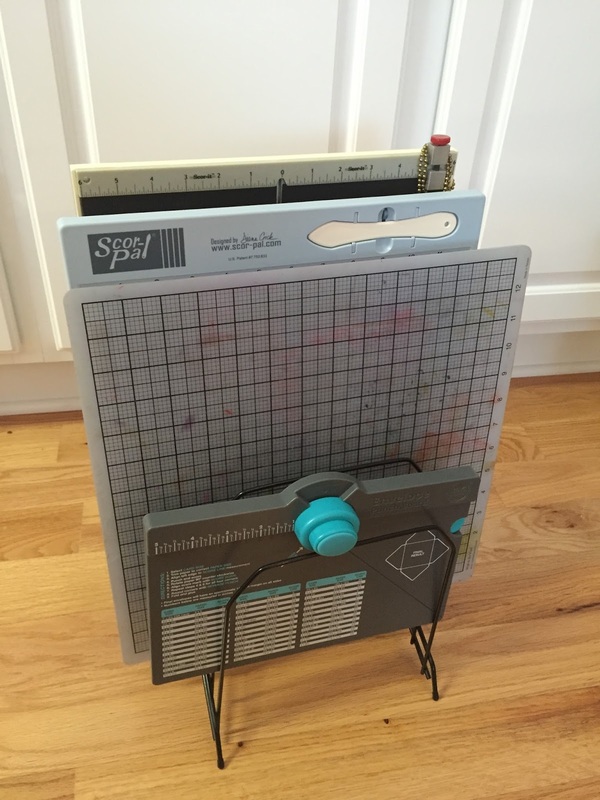 I use the file organizer to hold cutting mats, scoring boards, and paper punch boards. For me, it's better than stacking them horizontally, and it can sit on my work table or even on the floor beside my chair (when the table is too cluttered--as it usually is!) where I can easily reach for the one I want. Hope you like this craft room organization idea! 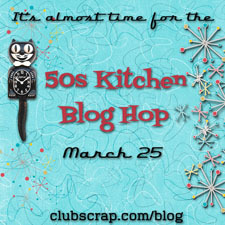 Continue the hop by clicking HERE to go to Ann's blog. Love the card with the accent blue squares. Your organization thingy is a great idea as well. I will definitely look into getting a couple of those. The grid card is beautiful and i lovethat technique! Your organizer is a great idea.I wish I had room for this,or maybe I should reorganize. ha! 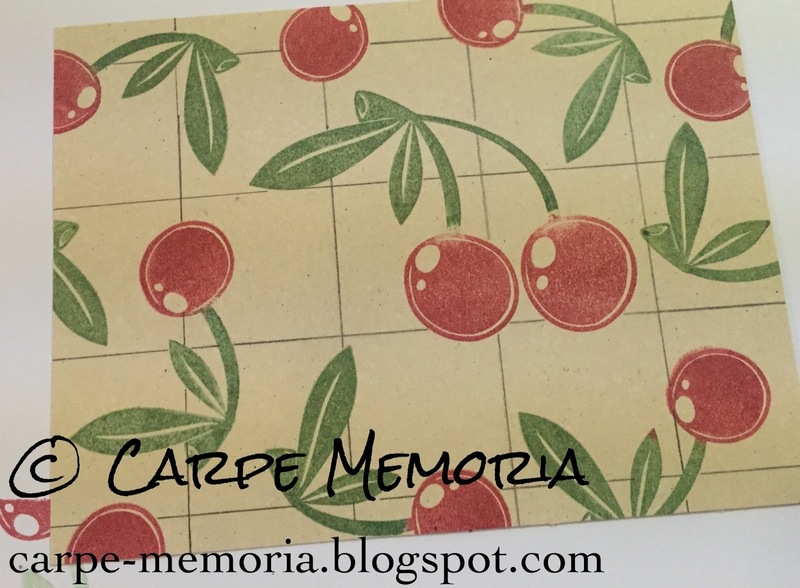 Fun card and your organizing tip is great! I need to pick one of those up! The cherry/grid card is just perfect. I love it, Lisa! And what a brilliant idea for vertical tool storage. Thanks for sharing that one. Glad to have you hopping with us, Lisa! Love the masking with coloring only certain squares on the card, it really sets it off! And great storage, mine are just in a pile (a large messy pile) on the floor! Hi Lisa! 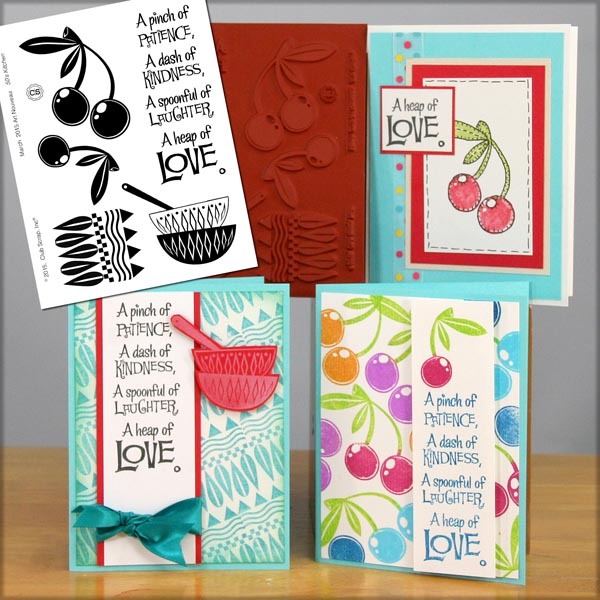 Love, love the cherry card! Thanks so much for the organizing tip. It is one I really need to do because I too have too much stuff on my desk when I'm working! Have a great day! 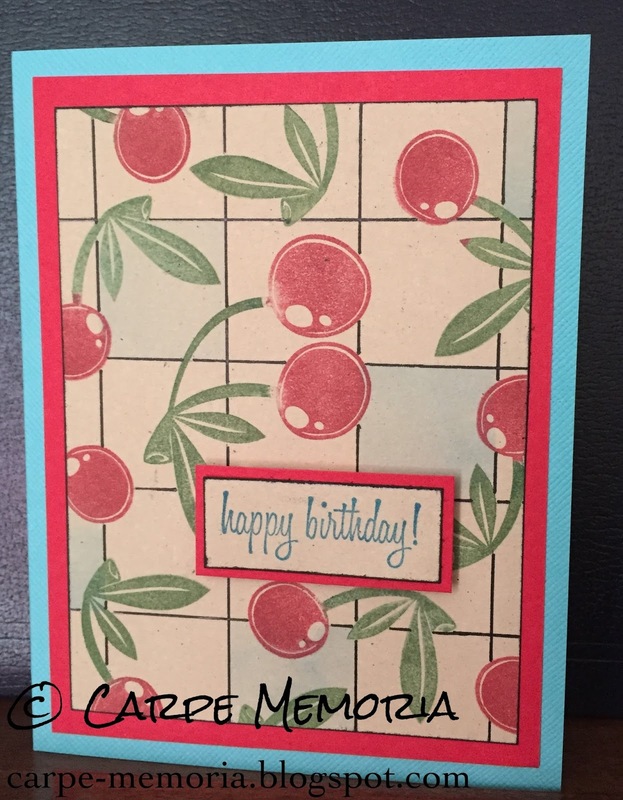 Lisa, your card is darling and love how you added the touches of ink to the masked areas, what a fun look! 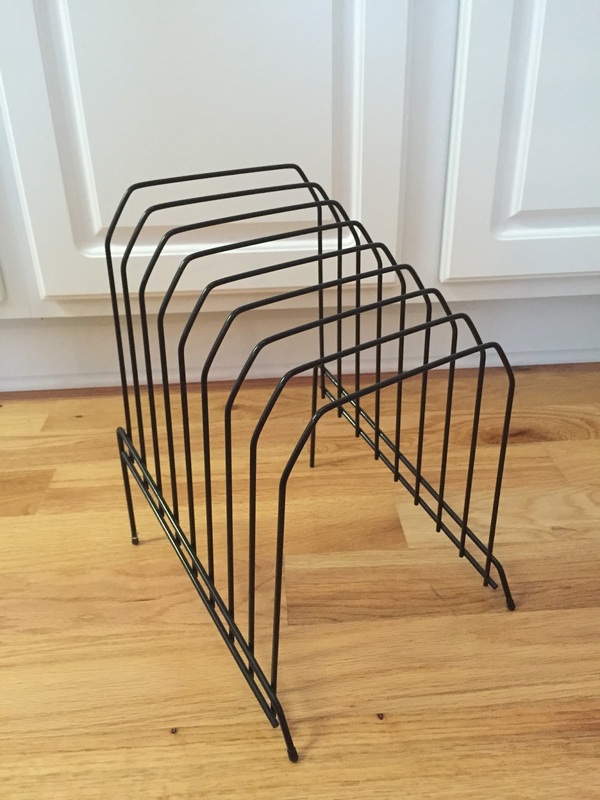 Also, I love your storage idea - I actually have several of these sitting in a closet that I got from Ron and this is an amazing storage solution!! WOOT! can't wait to use if for all my slim trimmers, boards etc.... WOOHOO! Cute card! I love the organizational tip! You are right, mine iare laying flat taking up too much room! Great card and thanks for the great storage/organization tip! I love your card! I always forget how nice the grid looks with stamped images. I need to remember to try it out. And I love your organizational tool. Cute card! Never would have thought to organize mats and trimmers that way, but that is perfect! Yes, great card and tip!! Being the crafty engineer that I am, your card *totally* appeals to me and I will be 'scraplifting' that very soon. And great use of the 'paper' organizer for an out of the box storage solution! 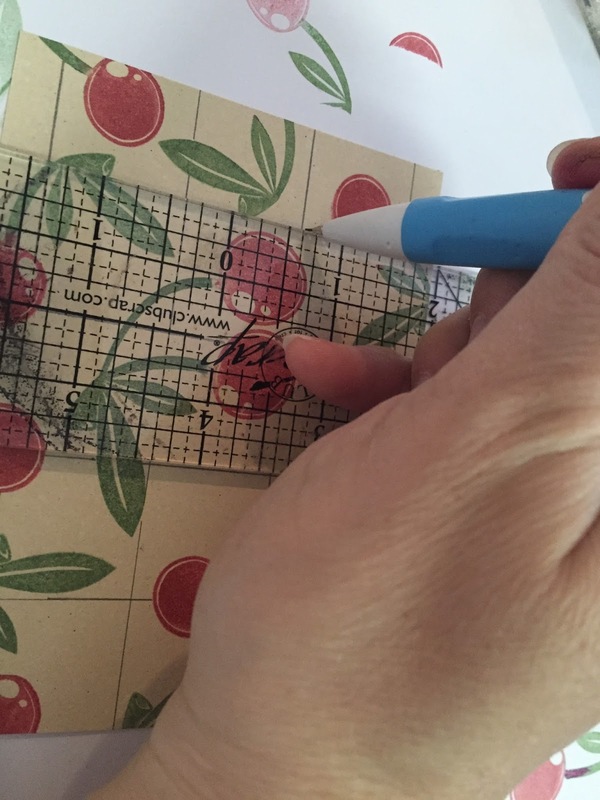 The grid you drew between the cherries is very cool along with coloring only a few squares in! Adorable! Thanks for the storage tip! The grid design is absolute fantastic! Will give it a try. Thanks also for the storage tip. I have one of those racks so it will be put to good use!